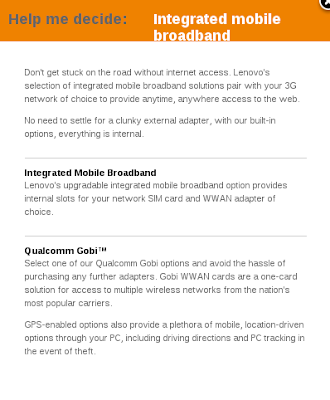 Lenovo have failed to make good on their stated intention to amend their website to clearly show that "Mobile Broadband Ready" machines only accept whitelisted Lenovo cards after six months. I'm writing an ACC complaint at the moment, alleging that they continue to sell devices with un-disclosed restrictions as a bait-and-switch tactic to force users to buy their marked-up 3G hardware. I would welcome submissions from anyone else affected by this issue; contact me at the email address listed on the right hand bar in this blog, not via comments. All Lenovo needs to do is fix its website to link "Mobile Broadband Ready" to a statement showing limitations, and to amend its product datasheets to show the PCI whitelist. This isn't a big thing to ask. This is a purely private action and has nothing to do with my employer, past or present. I recently found myself with the need to push Google Chrome out across all machines in a WDS (Windows Deployment Services) group using MDT (Microsoft Deployment Tools) Deployment Workbench Task Sequences. I needed to do a silent, unattended install of Google Chrome from an offline installer. I still want it to auto-update. This turns out to be badly documented and the method appears to have changed repeatedly, but once you find the right resources it works well. It appears to me - based primarily on what I see on Stack Overflow rather than direct Mac use experience - that PostgreSQL packaging on Mac OS X is a real mess. Fink and MacPorts packages also exist, but seem to have either fallen into disuse or "just work" so I don't see breakage reports about them. 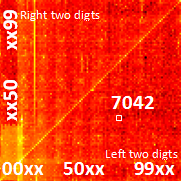 If you haven't yet read the DataGenetics post on PIN frequency, you should. It's an amazing article with some extremely impressive data visualisation. If you see your bank/ATM PIN in the frequency tables there, smack yourself for being predictable, then go have a chat with a random number generator. I was unsurprised but relieved to see that I'm unpredictable, but not suspiciously and unusually unpredictable. Just where you want to be. BTW, if you're a software developer who has anything even tangentially to do with security and you don't know what "hash" and "salt" mean or the difference between hashing and encryption, consider yourself dead-fish-slapped. Go. Learn. Now, before you contribute to this dataset. I've grown to really like Contexts and Dependency Injection (JSR299, CDI), a part of the Java EE 6 suite. It's relatively simple and clean, it's extensible, and it allows for a really nice loosely-coupled programming model. It gives you the freedom to use event-driven or direct call operation and can take care of most of your lifetime/lifecycle issues for you. Of course, this is my blog, so you know there's a "but". Sure enough there is, albeit a pretty minor one: It's a mess for interactive debugging, because stepping through a CDI invocation takes you through layers of weld proxies, scope lookups, and all sorts of other crud you usually don't want to see. LOTS of it. CDI isn't unique in this respect, as anyone who's stepped through EJB calls will know, but it's perhaps worse than some due to extensive use of proxies, interceptors, etc. There's a solution in Eclipse. It could be simpler and it could be more complete, but it's a heck of a lot better than nothing. Most applications need configuration options or preferences, a way for the user to edit them, and a way for the application to read and edit them. Java EE applications are no exception. Right now Java EE applications have numerous options for such settings - but no single choice that's simple, admin- and app-author friendly, and easy for both admin and app to modify. This is not a new issue, as can be seen with this 2001 question on The Server Side. Back then they suggested *using JMX* ... which doesn't exactly fit the *simple* requirement. Don't require a full database and data access layer / JPA / etc just to store simple configuration options. I'd like to highlight this as an issue for Java EE 7 or 8. UPDATE: Marcus Eisele pointed out a related post by Antonio Goncalves as part of a jsr342-experts post on configuration. Have a look at Antonio's piece; he's looking at it from a slightly different angle, but with many of the same issues. See also this stack overflow post from a while back, where I asked for help on this topic and got crickets. I think Vaadin 6 is the first truly productive web UI framework I've worked with. Productive for me, anyway; experiences will vary depending on the task at hand and the developer. I strongly recommend Vaadin 6 for anyone doing web applications - highly stateful tools where user counts are relatively low and UI complexity is relatively high. JPAContainer is very inefficient - largely due to an API design problem in Vaadin's Container API that makes it very hard to use the entity manager efficiently. Alas, this design flaw hasn't been remedied for Vaadin 7, so it's sometimes best to avoid JPAContainer and drive a Vaadin table from the outside instead. JPAContainer doesn't play well with Hibernate and lazily loaded entities. A workaround is provided, but it's clearly more used with EclipseLink. This won't be a problem if you drive your tables with your own data model code. Vaadin 6 feels a little bit old at times, and you can certainly see its Java 1.4 history in more frequent use of casts rather than generics. It also requires an extension to integrate it with CDI - even then, only with pseudo-scopes. Vaadin isn't beautiful, but damn, it works. Works well, and reliably. It's been at least two weeks since I found a bug in the tools I've been using, and that has never happened to me since I started using the Java EE stack! Despite its flaws, JPAContainer is also impressively powerful. I really hope an enhanced Container API can be introduced to Vaadin 7 so it can reach its potential as a truly awesome RAD tool. Did the marketing people not even think about this at all? The uncropped original shows I'm not just cropping off important context; that ad is just a little disturbing. I was modifying one of my aggregate views today and I was struck by just how impressive PostgreSQL is, and how powerful relational databases in general really are. 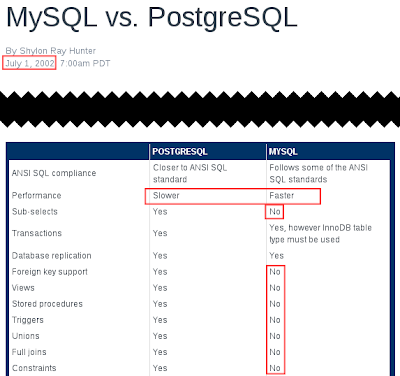 PostgreSQL was executing queries against the view a completely different way when one entry was being queried vs when the whole view was being requested. You might take this for granted - but when you think about it, it's seriously amazing how a database can take your description of what you want and work out the how for its self. Mostly. Imagine writing this yourself. Say you're working in Java. You have a complex Criteria query against several different tables related to information about customers. You now want to get information for just one customer, so you add a WHERE clause to the top level. If the database didn't nearly magically push this filter criterion down into all those complex sub-queries and joins you'd be at it for hours; days or weeks if you wanted to make it re-usable and generic across a set of similar criteria queries. Instead, the DB just does it for you. UPDATE: JSR388 has been released with support for "fetch groups", which at first glance seem to meet this need. I re-posted my query to javaee-spec-users after seeing no response on the jpa-spec users list. A reply from Linda DeMichiel on the javaee-spec list looks promising. Separate discussion (twitter) suggests it's conference season so everyone's busy and sidetracked as well. Support for the use of "fetch groups" and/or "fetch plans" to provide further control over data that is fetched, detached, copied, and/or used in merging. but I'd seen no discussion of it on the EG list, which I've been monitoring since near start. (UPDATE: There'd been a wee bit, I just missed it.) I didn't realise they were working to an ordered, specific agenda, though it certainly makes sense to tackle such a big task in small chunks like that. Dirty detection in particular has caused me a lot of pain in the past, so it's good to see it on the list. It'd simplify quite a few tasks around working with JPA, particularly in apps with longer-lived sessions like interactive GUI / swing apps, Vaadin web apps, etc. One thing that isn't there that perhaps should be is handling failure more cleanly. Currently one needs to clone entity graphs before attempting to persist them using a tool like org.hibernate.util.SerializationHelper, because they may be in an inconsistent state if a persist operation fails. It's slow and ugly to need to serialize/deserialize to clone an entity graph, but hard to get around because dynamic weaving and enrichment means you can't properly clone an entity just by allocating a new one and copying properties into it. Worse, you have to handle all the cascades yourself. Many common use cases involve situations where failure is normal: serialization failures of serializable transactions, optimistic locking issues, etc. Often you want to re-fetch the entities and re-do the work from scratch, but that's painful if you have user-modified state in those entities and all you want to do is retry a merge after a database serialization failure. Guess I'd better pipe up about that too. It isn't news, but if it isn't on the agenda maybe it should be added for discusson. Now is the time to join the jpa-spec users list on http://java.net/projects/jpa-spec and pipe up about practical, real-world issues you face with JPA. Even if everyone's out conferencing, email queues up nicely. I've pushed an update to the EclipseLink <-> AS7 integration library github.com/ringerc/as7-eclipselink-integration. Version 1.1 now produces a proper JBoss AS 7 persistence provider integration module. It'll automatically inject the right properties into EclipseLink, so you don't need to modify persistence.xml or set system properties anymore. I haven't found a proper solution to the null static metamodel issue or the dynamic weaving issues. Rich's code for VFS integration plus the logging integration code and the rest all just works automagically now, though. I'd like to add better integration tests, but I'm being held back by today's JBoss AS 7 issue, https://issues.jboss.org/browse/AS7-3955 . NOTE: This version of the integration code doesn't seem to work on the latest AS nightly, but it's fine on 7.1.1.Final. I'm setting up another opportunity to look foolish - which I view as a good thing; if I don't risk looking foolish, I don't learn nearly as much. I've mailed the JPA 2.1 EG re control over fetch mode and strategy on a per-property, per query basis, as I'm concerned this may not otherwise be considered for JPA 2.1 and thus Java EE 7. As previously expressed here I think it's a big pain point in Java EE development. I'd appreciate your support if you've found JPA 2's control over eager vs lazy fetching limiting and challenging in your projects. Please post on the JPA 2.1 users mailing list. UPDATE:: JSR388 has been released with support for "fetch graphs", a feature that appears to meet the specified needs. I'm no longer working with Java EE or JPA, so I haven't tested it out. UPDATE: Many of these problems are solved, albeit in non-standard and non-portalbe ways, by EclipseLink. EclipseLink extensions can be used to gain much greater control over fetches at the entity definition level and more importantly via powerful per-query hints. Glassfish uses EclipseLink by default, but you can use EclipseLink instead of Hibernate as your persistence provider in JBoss AS 7. NullPointerException on @Inject site even with beans.xml? Are you staring at a stack trace from a NullPointerException thrown by access to a CDI-injected site? Still not working? Does a message about activating CDI appear in the server log, but injection still not work? Make sure you used the right @Inject annotation. Especially with code completion and dependencies pulling Google's Guice onto the classpath it's easy to land up accidentally choosing com.google.inject.Inject instead of javax.inject.Inject. ensured that mistake wouldn't happen again. Added support for use of CDI injection in entity listeners. Added requirement for Java EE container to pass reference to BeanManager on createContainerEntityManagerFactory call. This is good news. The spec needs more eyes. 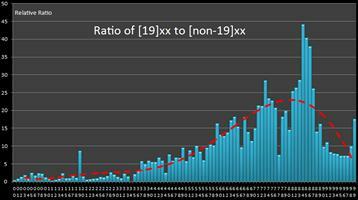 If you use JPA, you need to have a look. Check to see if any pain points you encounter in JPA 2 are addressed. Check the revision notes at the end and see if something jumps out at you as being problematic or unsafe. If you have concerns contact the EG. More eyes on draft standards means fewer problems in released standards. EclipseLink has already implemented JPA 2.1 Arithmetic expressions with Sub-Queries, option support for select and from clause subqueries and JPA 2.1 JPQL Generic Function support so go try them out in EclipseLink 2.4.0 pre-releases using the latest milestone. It might be worth trying out the new goodies too. Sometimes a feature seems reasonable on paper, but works very poorly in practice. The spec-before-implementation development model of Java EE means we get to "enjoy" lots of those issues; help prevent more by testing the implementation early. I didn't see anything about fetch strategies and modes, so I'm going to have to go nag them again. I had success the first time around in pushing for CDI injection into EntityListener, but the spec is significantly further along now. OTOH, the difficulty of controlling eager vs lazy properties on a per-query basis is a big pain point. UPDATE: done, let's see what happens. Progress made with Lenovo; see my update to the original post on this topic. Overall, mixed results. Quick and positive immediate response followed by a quick return to talking to a brick wall. We'll see. The website hasn't been updated yet, but it's only been a couple of days and it is a big website. I'd be amazed if it had been. 1802: Unauthorized Network Card is plugged in - Power off  and remove the miniPCI network card (413C/8138). UPDATE 2012-11-17: It's been six months, and I'm out of patience. I'm filing an ACC complaint..
UPDATE 2012-06-24: I've received the replacement 3G card from Lenovo, and it works well. The Gobi 3000 based Sierra MC8790 card is a bit ... challenging ... under Fedora 17 and I wish I'd just been able to use my existing, working card. Still, this one should be lots faster when it's working, and it works under Windows at least. They still haven't updated their website, so it's going to be nagging-time soon. Not impressed. With regards to the whitelist, it has existed since the introduction of modular cards - Lenovo have to qualify particular wireless devices not just internally but with the FCC and other telecommunications bodies around the world, hence the control around this list exists. As such there is no way to bypass this list as it would effectively allow violation of legal statutes with regards to telecommuncations devices. Kudos for a quick response, mea culpa, action to stop it happening in future and a gesture to make it right for me. Good on them. I'm less thrilled by the vague and waffly detail-free explanation of the whitelist; I've been unable to find anywhere where Lenovo or a Lenovo rep has clearly stated which regulations affect them, but not Dell, Acer, or numerous small vendors. I asked for clarification on this point but have received no reply to date. The important thing is that they'll fix their website and rep training to make sure others aren't mislead; in the end, their reason for the whitelist can be "because we can and because we feel like it" and so long as they're up front about it that's less bad. Note the common theme: complete surprise that their laptop refuses to work, because they had no warning about the lockdown until they already had hardware for it. Not cool. That error informs me that Lenovo has chosen not to permit me to use my 3G cellular modem card in my laptop. I'm not leasing this thing off them, I bought it outright. This isn't a technical limitation or restriction, it's a policy decision enforced by the system's EFI firmware or BIOS. Before I bought this laptop, I'd heard that Lenovo and IBM before them used to restrict installed Mini-PCI-E and Mini-PCI cards in BIOS, refusing to boot if a non-Lenovo-branded 3G or WiFi card was installed. I had a 3G card I wanted to use, and anyway didn't want to be part of that sort of thing, so I called to confirm they didn't still do that. The sales rep assured me in no uncertain terms that there is no such restriction. I was promised that a Lenovo T420 will boot up fine with a 3rd party 3G or WiFi card installed, though of course they can't guarantee the card will actually function, I'd need drivers, and they won't provide tech support for it. Fine. I didn't completely trust the sales person - though they knew what MiniPCI-E was, so they were ahead of the curve - and called support. I asked them the same thing: Would the laptop refuse to boot and give me an error in BIOS if I put a non-Lenovo 3G or WiFi card in. I specifically asked about whether it'd give me a BIOS error and refuse to boot. Not only did they assure me it wouldn't, but they said the card would work out of the box if it were the same model as one of the ones Lenovo sells. No misunderstandings here, we weren't talking about USB stick 3G, but mini-pci-E.
At this point, let me propose to you a game. Be nice, though, it isn't the fault of the sales and support reps, they're getting mislead and misinformed to as well. Go to shopap.lenovo.com or your local Lenovo online store, or call their sales number for your region. Ask the poor innocent who is just trying to help you whether you can use a 3G card from your old Dell laptop in the T420 you're thinking of buying, since it's a mini-pci-E card and you have all the drivers. 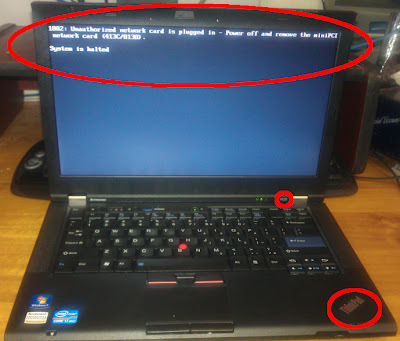 Help them; mention that you've heard that Lenovo and IBM before them used to stop machines starting up if there was a non-Lenovo wireless card in them. Ask them if that's still the case. Copy and paste your chat to the comments if you feel like it, but be very sure to blank out the rep's name or I'll get really angry at you too. Betcha they'll tell you everything will be fine. Mine did and I have a record of it. That's from my new Lenovo T420, a great machine except for the whole locked-down-so-you-can-only-use-our-branded-hardware thing. (OK, and the lack of USB3/bluetooth4, but we can't have everything). Of course, it's not surprising the sales and support folks don't know since the issue isn't documented anywhere in the tech specs, so-called datasheet (sales brochure) for the current model T430, or the T420/520(US) or T420/520(AU) etc. here they advise you to select a "wireless upgradable model" but don't bother to mention the card'd better be from them, Or Else. It isn't even in the hardware maintenance manual! Points for Lenovo for publishing this, unlike most vendors, but it clearly needs to be a wee bit more complete. There's even a knowledge base article about it, but you have to know the error code to search for before you can find it. The ThinkWiki article on it wasn't obvious either, isn't on Lenovo's site, and isn't something you're likely to find until you've already been burned. to carry the Wi-Fi logo. None of this handy information was, of course, on the store page, laptop brochure, or specs where customers might actually see it, and was unknown to their own sales and support reps, who've been kept completely in the dark. Nor does it say, even in the above sales-rep-info footnote, "firmware will disable the laptop if 3rd party card detected"; it says it's only designed to work with Lenovo parts, not that it'll actively and aggressively stop you you using non-Lenovo ones. Not happy. Their sales chat people on the website assuring me that the sky is purple and full of ponies is one thing, but their support folks not knowing this is something else entirely. It's not their support folks' fault their employer is lying to them, but it most certainly is the fault of Lenovo management for enforcing this policy and keeping it secret from the support and sales teams. What makes me angriest is that the website for 3G capable models doesn't say anything about this restriction, nor is there any link about it regarding WiFi cards, or any mention in the specs for the MiniPCI-E slots or antennae, or ANYWHERE. "Datasheet" excerpt specs from the T420. No sneaky little asterisks. No small text elsewhere. UPDATE: ... is not to post something significant that relates to the work of people who you respect when very angry about something completely unrelated. Especially after a bad night's sleep and when rapidly approaching burnout at work. Except, of course, that I apparently haven't learned that. I'll leave the following post intact and follow up soon (after sleep! ), rather than edit it in-place. I know it's an unfair and unreasonable post in many ways, but I guess it's also thought provoking if nothing else. If you read on, be sure to read Markus Eisele's response, where he makes some good and important points. "Final" or "Released" doesn't mean "Ready", only "Public Beta"
I suspect people are only now starting to use Java EE 6 for real production apps. There's been tons of hype and fire, but so many of the technologies have been so amazingly buggy I'm amazed anybody could build much more than a Hello World with them until recently. When a new Java library or technology is released, resist temptation. It's not like a PostgreSQL release where you can immediately start working on it. It isn't finished. It isn't documented. It isn't ready. Ignore the hype and wait three to six months before going anywhere near it unless you want to be an unofficial beta tester and spend all your time reporting bugs. Like I have. Over, and over, and over again. The whole CDI programming model was broken for the first six months to a year of Java EE 6's life, on both JBoss AS and Glassfish. Weld (the CDI RI) took at least six months after "final" release before the most obvious and severe bugs were ironed out, and was the cause of many of the worst bugs in Glassfish 3.x. Arquillian 1.0.0.Final wasn't really baked yet though at least it worked amazingly well once the deficiences were worked around. RichFaces 4.2.x was still biting me with bugs whenever I tried to do anything with it. Unicode bugs, CDATA/escaping bugs, lifecycle bugs, you name it. Seam 3 was released as "3.0.0" when only some of the modules worked, and those only for JBoss AS. A year after release it's pretty solid, but if you tried to use it in the first few weeks or months like I did you would've suffered - esp if you tried using it on Glassfish. Seriously, be ultra-conservative if you value your productivity. Why don't we have Target Disk Mode for non-Apple machines? I'm not an Apple fan, but there's one thing that consistently makes me really jealous about their hardware. Despite generally scary-buggy EFI firmwares in their Intel CPU based machines, Apple's firmwares support what they call Target Disk Mode. This is a tech support and service dream, and has been supported since Apple moved over to "New World" PowerPC machines with their Forth based OpenFirmware, ie for a very long time. Target disk mode is great for data recovery, OS repairs, OS reinstalls, disk imaging, backups, accessing data on laptops with broken displays without having to rip the HDD out of them, and lots else. It's just great. Unless you have an Apple you don't get it, and there's no longer any good reason for that. UPDATE July 2012: Kernel Newbies reports that support for exporting SCSI over USB and FireWire has been merged into the Linux kernel. This will make it much easier to produce bootable USB keys that export the host system's hard drives. Unfortunately it's useless with most machines as it appears to require a USB gadget or OTG port, or a FireWire port. As I'm getting more and more sick of bugs in JSF2 and RichFaces 4 and making painfully little headway, I thought I'd give Vaadin a go with a side project I'm fiddling with. First impression, three hours in: The Vaadin developers don't use or get Maven, and while there's official Vaadin support for Maven their support is only superficial. The Vaadin Eclipse plugin only kind-of works with m2eclipse, scattering generated files throughout the src/ tree, putting library jars in src/main/webapp/WEB-INF/lib, adding jars directly to the Eclipse build path for the project, etc. It's not really a good maven citizen and needs plenty of encouragement to do the right thing, though it does seem to work once you've undone all the damage it does when enabled on a Maven project. Enable the Vaadin facet in your project properties Project Facets section. Do not click on "Further configuration available..." or, if you do click it, make sure to uncheck "Create project template..." if you already have the vaadin servlet in your web.xml. Check web.xml to make sure the Vaadin facet hasn't added a second copy of the vaadin servlet when it was enabled. In your project properties, under java build path, remove the VAADIN_ entries from the Libraries tab. Otherwise you'll have those on the build path as well as the Maven-provided dependencies, which could get mismatched-versions-tastic in a hurry. Add src/main/webapp/VAADIN to your .gitignore; it contains generated code that's being dumped there not in target/. In my first three hours with Vaadin, I reported seven bugs, though only three are more than cosmetic/trivial and are reproducible. Not a reassuring start, but I'm going to give it a chance because they're all related to Maven integration in the Eclipse plugin and to slightly dodgy artifact packaging. They might make a great tool and just not get Maven. fatal: git checkout: updating paths is incompatible with switching branches. Did you intend to checkout 'upstream/7.1' which can not be resolved as commit? When working with JBoss AS 7, it appears that it's just assumed you'll be working with Eclipse. Nobody seems to really talk about NetBeans, the IDE I've been using most of the time for the last few years. I thought there had to be a reason for this, and decided to give it another go. I'll be jotting things as I go in the hopes of helping others out, and to highlight potential usability issues. So far, it's pretty simple. Eclipse is painful to use in places, does some things quite strangely, and it's all worth it for the dynamic web module. I cannot possibly express how wonderful it is to use after the compile-redeploy-test cycles I've been doing while using JBoss AS 7 on NetBeans. As anyone who's read much here will know, I'm a huge fan of PostgreSQL, the powerful open source relational database management system. It is an amazingly project with a team that keeps on releasing high quality updates full of very useful new features and improvements. This is my blog, so there must be a "but", right? You're quite right. I already wrote a PostgreSQL: Great even when you can see the warts in response to a perhaps overly glowing write-up someone did a while ago. I'm not covering that again here; this post is specifically about a topic more and more dear to my heart, that of usability. As a long-time UNIX geek I've always found PostgreSQL quite easy to use, because I live on the command line where psql is just wonderful. Recently, though, I had to use PostgreSQL on Windows, and in the process couldn't help seeing it from the new user's point of view. In fact, I tried to think like a new user as I performed the tasks I needed to do. It wasn't all roses. I knew enough about Pg to get past the issues pretty easily, but some of them would be real roadblocks for new or even intermediate users, and I think they're worth highlighting. Many of the issues were with PgAdmin-III, but far from all of them. This post started out as a minor critique of a few usability sore points in Pg and PgAdmin-III. As I went through step-by-step producing screenshots and thinking through the process as a user, though, I realised it's an absolute, complete and utter train-wreck. If this had been my first experience with PostgreSQL, I'd be a MySQL, MS-SQL or Oracle user now. UPDATE 2015-04-08: It looks like the ISOs are no longer available from DigitalRiver, or at least not at their old locations, since Windows 7 went EOL. Yesterday I had a frustrating time after discovering that the one and only non-OEM-contaminated Win7Pro x64 disk I had was faulty - half way through a win7 reinstall. All I wanted was a download of replacement media, as I had a license already. This should've been simple, but no! Microsoft direct you to your OEM or retailer in all documentation on the topic, never even hinting that you can just download the ISOs without needing MSDN. I even called Microsoft support, which is a mark of desperation if ever I saw one. They were as unhelpful as expected, patronisingly explaining that the license key is from a computer manufacturer so I have to contact them for replacement media. Even though I don't want the OEM's butchered Windows install media, I just want stock win7. I don't want the mangled Windows the OEM supplies, and even if I did they'd only post it to me not offer a download. They also only supply service pack 0, and I needed SP1-integrated ISOs. I have a license to the product. You can't use the media without a license. The media have no copy protection so it's not like they particularly try to prevent their copying/distribution. Yet the official story is that you just can't download it unless you've bought an new license to a retail version online through Microsoft Store. Pathetic. ... to get service pack 1 ISOs. Legally, from Digital River, MS's online/digital distributor. Yes, that means you must have a valid license and key to use them, as normal. They even provide SHA1 checksums, which NOBODY seems to publish for Windows ISOs or pretty much anything else in the Windows world. I've verified the x64 SP1-U checksum to match what I downloaded from Digital River. I haven't checked the others. If you've been following the soil moisture stuff I've been playing with you will have seen me referencing many others' work, both hobbyists and pros. This isn't new stuff, though it's poorly documented on the 'net and hard to find. The group moved from its old hosting to Google Groups a while ago, but the best stuff is in the old archive on sowacs.com. It's a bit patchy, frustratingly, and there don't seem to be mbox files of the archives to download, but it's still very informative. HTC pushed an Android 2.3.5 update to my Vodafone Australia-branded HTC Desire HD. There was no changelog, and along with the Android update it turns out I get a new version of HTC Sense (yay?) with all sorts of animations I can't turn off and extra bloat. Atmel Microcontroller (non-ATmega/ATtiny compatible) with built-in 433MHz (US: 310MHz) transmitter! I was so excited I had to share. At about AU$8 each, these little beasties might make building wireless soil moisture sensors so much easier it's just not funny. The main problem is going to be ordering them, since Jaycar and Element14 don't carry them, and DigiKey has them as non-stock components with 4000 unit minimum volumes. They're 4-bit 8051-architecture micros so they're not going to be compatible with the ATmega or ATtiny range, so I lose the advantage of having the same arch on sensor and control system. For something as relatively simple as sampling an analog temperature and humidity sensor that may not be a big problem. It may still land up being easier to use an ATtiny for the analog sensor controller and digital sensor data transmitter, so I can use (mostly) the same software tools as for the ATmega on the control board. I could then hook the sensor's ATtiny up to either some wiring for wired service, or to an RF transmitter IC for wireless operation without much if any change to the sensor codebase. Atmel also have a family of RF receiver ICs (with matching tx modules or transceivers available) so I might be able to avoid the need for a breakout board / shield for the RF receiver support and just make it an optional component in the base design. Things like the ATA5723 /ATA5724/ATA5728 and the ATA5745 /ATA5746 RF receiver ICs could be awfully handy at about AU$4 each ... if I can find someone who'll sell them to me in less than 1,500 unit quantities. If not, there are lots of other highly integrated 433MHz RF receivers and transmitter ICs out there. The ATA8204P3-TKQY looks particularly suitable; it's a slower and cheaper unit without UHF, but that shouldn't be a biggie for my use. It's cheaper than any of the other units except the ATA8202-PXQW 19 on digi-key, and should do the job fine. It's surface mount so it won't be assembly-friendly, though. An alternative might be the ALPHA-RX433S from RF-Solutions as that's packaged as a little module that'd be a bit saner to solder up. On the the progressive difficulty scale of home built soil moisture sensors the bottom of the ladder is a DC soil conductivity sensor that uses simple resistivity measurement. It took a couple of hours build one of those last night, most of which was spent incompetently attempting to produce a decent solder joint on steel wire and on the cleaned heads of galvanized nails. Anyone who can use a soldering iron without being a hazard to themselves and those around them should be able to whip something like this up in a few minutes. 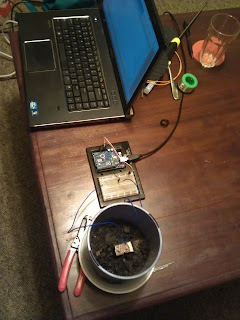 I've been having ... "fun" ... trying to find a way to build an affordable network of soil moisture sensors that don't require too much looking after. It's harder than you'd think, but this UF/IFAS Virtual Extension series on soil moisture and irrigation has made it a lot easier to understand the different approaches and sensor types. It'll help you understand the differences between resistive and capacitive soil moisture measurement, introduce alternatives like tensiometers, etc. This is important whether you plan to DIY your sensors or buy off the shelf. I picked up a nice compact little temperature and relative humidity sensor called the RHT03 for a project from Little Bird Electronics. 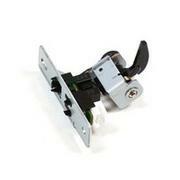 It and very similar parts appear to go by the names RHT-22, DHT-22 and AM2302. You can find the part at SparkFun, Adafruit, etc too. It took a lot more work to get it working than I expected, so I thought I'd write it up here for anyone else who is looking into it. There's sample code at the end of this post, but you should probably read the details because this is a quirky beast. UPDATE: I since found a library on GitHub: nethoncho/Arduino-DHT22 that does a better job more simply and compactly. It works fine with my sensor. It needed some changes for Arduino 1.0 and some further tweaks to work how I wanted, so I've uploaded a fork here: https://github.com/ringerc/Arduino-DHT22. For kicks, I've extended the basic Arduino shift register LED control example CIRC-05 from www.oomlout.com to use the Arduino's hardware SPI routines instead of software signalling. As someone who has done very little with low-level electronics and who didn't know what SPI even was until today, this was embarrassingly easy. Kudos to the excellent Arduino libraries and the great documentation for making this simple. I'm posting the re-written example for CIRC-05 here. It has the original software-based control as well as support for SPI, so you can see how similar the methods are. I've started playing with some basic tutorial/toy electronics stuff using the Arduino platform and the "SparkFun Arduino Inventors' Kit" (hardly "inventors'", but anyway...) after picking it up as part of an order from the awesome outfit Little Bird Electronics. While generally good, I've hit an interesting issue with the kit that's worth documenting for anyone else who has it. The short version: If you're using the SparkFun kit that specifies a 10kΩ resistor and the test circuit doesn't work (the motor won't spin) you might need to use a lower valued resistor between the transistor and pin 9 of the Arduino board. If this is the case, you'll find that when you flick the motor's drive around with your fingers so it spins, sometimes it'll spin down slowly and sometimes it'll stop suddenly, depending on whether the Arduino is currently trying to drive it or not. Check for all the usual errors before assuming the issue described here is what's wrong with your circuit. You might've reversed the flyback diode, made a poor connection on a power rail, etc etc.